What About Above the Law and Breaking Media? Legal Talk Network producer Laurence Colletti interviews John Lerner, CEO of Breaking Media, and David Lat, Founder and Managing Editor of the Above the Law blog at the 2015 ATL Convergence conference in New York City. Lerner discusses the history of Breaking Media, how they joined with Above the Law, and their relatively recent acquisitions, Breaking Defense, Breaking Energy, and Breaking Gov. Tune in to hear more about the companies and the conference. John Lerner is CEO of Breaking Media and has 20 years of experience in B2B and niche consumer markets starting at Inc. Magazine, and later running the online businesses of BPI Communications, VNU Business Media, Nielsen Business Media, and F+W Media. David Lat is the founder and managing editor of Above the Law. His writing has also appeared in the New York Times, the Wall Street Journal, the Washington Post, and many other publications. 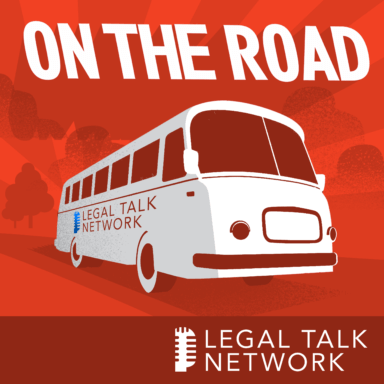 John Lerner and David Lat discuss Above the Law, Breaking Media, and ATL Converge.